Does Insurance Cover Medical Marijuana? Though there are many who wish to obtain a health insurance policy that covers their medical marijuana prescriptions, most health insurance companies currently do not insure for medical marijuana. This is largely due to the fact that it is still classified as a Schedule I drug under federal law, which would pose high risks for insurance companies to participate in this type of policy. Learn more about the details of the debate on medical marijuana and how cannabis insurance coverage is restricted to certain business ventures in the marijuana industry. Marijuana has been prevalent in the United States for centuries, so why has it recently become so controversial? Although marijuana itself is a fairly safe substance, it has long been associated with other, more harmful substances. This association, in addition to the public perception of ‘marijuana culture,’ has tainted its reputation. However, there are a large portion of individuals who credit marijuana with relief from physical symptoms of illness and improved mental health. Some even claim that marijuana use has prevented the spread of tumors and has been instrumental in prolonging and saving the lives of people who are chronically ill. Unfortunately, as a result of the stigma surrounding marijuana use, many of these claims have not been thoroughly researched. While some state laws condone the use of marijuana for legal and even recreational purposes, federal laws prohibit its use. Since most healthcare companies offer nationwide coverage, they abide by the federal regulations and will not cover marijuana use for medical purposes. It is much easier to standardize insurance plans than to create individualized plans for each state that accommodate the different laws. 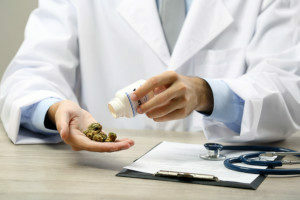 Since there is a discrepancy between state and federal law, there is a significant legal risk for doctors who prescribe medical marijuana and, by association, the insurance companies who cover those prescriptions. For both parties, it is generally safer to avoid the risk. A large number of American citizens rely on government assistance for healthcare, and because of the federal regulations that prohibit marijuana, those people would not have access to medical marijuana until it is federally legalized. If other insurance companies offered coverage for medical marijuana, this would create an inconsistency in the quality of the care offered to lower income Americans. Marijuana use is still highly stigmatized, so many health insurance companies prioritize maintaining their clientele and avoiding bad press over providing cannabis insurance. According to a 2016 Gallup poll, approximately 60% of Americans support legalizing marijuana. Although this is excellent progress, there is still a large part of the country that is not in favor of legalization. Because they offer so many other essential types of coverage, health insurance companies will not be dropped by customers who are in favor of legalization if they do not offer cannabis insurance. However, if a health insurance company decides to offer cannabis insurance, customers not in favor of marijuana use will be more likely to switch to a different provider. Although most individual health insurance plans do not cover medical marijuana, cannabis insurance is offered through private providers and is popular with private growers and dispensary owners. Some insurance companies who offer cannabis insurance are based in California, where marijuana use for medical and recreational purposes has been legalized. This eliminates the risk of conflicts with the federal legislation. Cannabis insurance protects not only the company that invests in it, but also employees and customers. Even though your health insurance may not cover your medical marijuana, frequenting establishments that have cannabis insurance protects you as well. In many cannabis insurance plans, there are provisions in place to ensure that if you are harmed by the product they provide or injured on the premises of the business, their insurance will cover any expenses incurred as a result. If you are planning to grow your own marijuana, having cannabis insurance can also be beneficial. It covers property damage and equipment malfunctions, both of which would otherwise be extremely costly to repair or replace in the event of an accident. 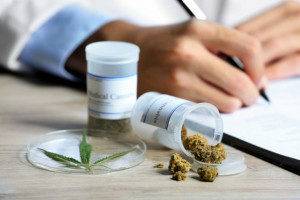 Applying for a health insurance policy with the intention of obtaining additional coverage for medical marijuana will likely result in a denial of coverage. However, if you wish to ensure the security of your property and equipment for a marijuana dispensary or grow operation venture, obtaining a cannabis insurance policy is paramount. Contact a cannabis insurance broker from MFE Insurance for more information.